HCM CITY — Vietjet has agreed to advance a 10 per cent cash dividend payment to its shareholders, equivalent to more than VNĐ542 billion (US$23.3 million). The additional payment means the company’s shareholders will receive nearly VNĐ1.62 trillion ($70 million) for the fiscal year 2018. Registration for the payment runs until April 24, Vietjet said in a statement. The airline plans to pay a dividend rate of 50 per cent both in shares and cash for the fiscal year 2018, following the resolution of its 2018 annual shareholder meeting. Vietjet has a good record of paying high dividends, from 50 per cent to 70 per cent in both cash and shares. The airline believed the board of directors would submit another high dividend payout ratio for 2019 at the coming Annual General Meeting of shareholders. 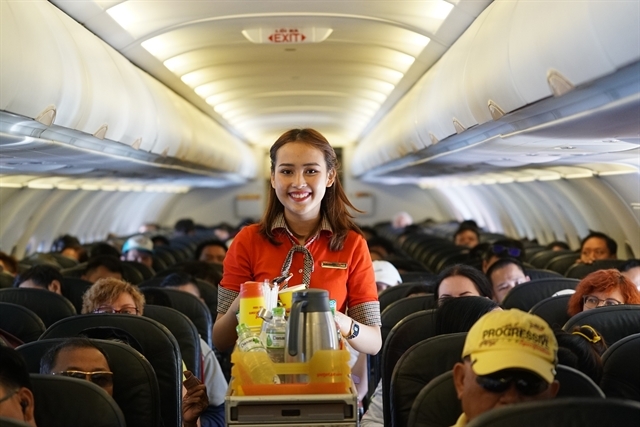 Earlier last week, Thai Vietjet – a joint venture of Vietjet and Thai airline Kan Air – said it would increase the frequency on its two routes connecting Đà Lạt and Đà Nẵng with Bangkok. This move aims to meet increasing travel demand on the routes, the airline said in a statement.